The National Literacy Trust is a member of the Fundraising Standards Board (FRSB) and has made a public promise to adhere to best practice, honesty, transparency, clarity and accountability in all fundraising activity. This should enable you to donate with confidence. Should you have any concerns about the way we fundraise we encourage you to contact us with your feedback. 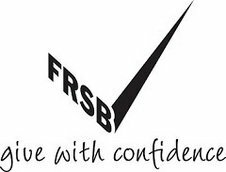 We have a robust complaints procedure but if you are unsatisfied with the way we handle your concerns, you can also contact the independent regulator, the FRSB. To make a complaint, please call 020 7587 1842 or email us at support@literacytrust.org.uk.